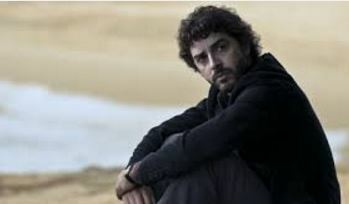 I must say, I’m quite entranced and delighted with the latest MHz series “The Young Montalbano” starring Italian heartthrob Michele Riondino and the beautiful island of Sicily. I’ve never seen a police potboiler set in so romantic a location. Vigata, a fictional town, is just breath-taking. When the stories sag as they sometimes do, the incredible Sicilian backdrops to even the most mundane police procedural scenes, more than make up for it. “The Young Montalbano” is imminently watchable. And its’ young star Michele Riondino is definitely on the rise. He is playing the dedicated, younger version of Salvo Montalbano, who is something of a folk hero in Italian television in “Inspector Montalbano” the wildly popular, older iteration of the same Sicilian police chief. Riondino is a hunk, but a sleek, metro-sexual, 1990’s kind of hunk. He often wears purple shirts.Or maroon. You can’t get enough of him, the sign of a true star. Bellisima! And the island of Sicily itself is enchanting, always. Having been spared the ravages of World War II, all of its’ magnificent period architecture is intact and it’s a thrill to see it all. No scene is ordinary when played against backgrounds like these and of course the Mediterrean Ocean is in every shot possible. Salvo Montalbano’s apartment overlooks the sea and many, many scenes are played out against this beautiful sea-scape where the sun is so often gently setting. And every one is always drinking a glass of sparkling wine. Libiamo! And the food! Even more than catching wrong-doers, Salvo always is salivating over the next mouth-watering meal he has to consume accompanied always by a rich, flavorful Italian wine. Which is to say, “The Young Montalbano” is a much more light-hearted look at police work than its’ other European series counterparts. The police station, for instance, has white wall-paper, with tiny flowers and butterflies on it, and usually we’re used to seeing dreary police settings (like in “The Bridge” set in Sweden & Denmark) or simply Ikea-like industrial ( as in “Blood on the Docks”, Le Havre, France). But no, no, not “The Young Montalbano.”Salvo’s office is dark wood paneled, unlike any other municpal TV cop’s desmaines. And there’s a very strong, tender love story front and center with blonde Italian beauty, with the un-Italian name of Sarah Felberbaum, turning in a charming performance as Livia, Salvo’s on-again, off-again romantic interest who is an architect and lives in Genoa, not Sicily. Livia and Salvo’s scenes always sizzle in a very civilized, Sicilian way.Combining the themes of food and love, they go to a restaurant mid-season, where there are exceptionally large tables, even though there are only two diners. And the courses just come at them, decided by the restaurant itself. And the tables are so big to accommodate all the upcoming dishes. I was dying. The series starts off very strongly with “The Man Who Followed Funerals” about the murder of a disabled vagabond, which gives “The Young Montalbano” a kind of metaphysical, psychological heft as Montalbano and his assistant team of less-than-stellar cops, discuss the philosopical meanings behind his senseless murder. The best episode of the six I watched(all a solid 90 minutes each) was the central one, “The Transaction”, surrounding a circus and a fatal fortune teller. And the series ends with “The Apricot” where a young model is murdered, yes, by an apricot. Don’t ask. The plots sag, as I’ve said, but mostly “The Young Montalbano” is enjoyable. And all the supporting parts are played by actual Sicilian actors, which lends the series a unique versilimitude. The fruit selling woman on the sidewalk who sells the fatal apricot to the dead supermodel is just exactly right. You want to go up to her and buy some apricots, too. Mostly “The Young Montalbano” makes you want to immediately visit the magical, dream-like island of Sicily, and that’s an unexpected bonus from your usual European crime series.